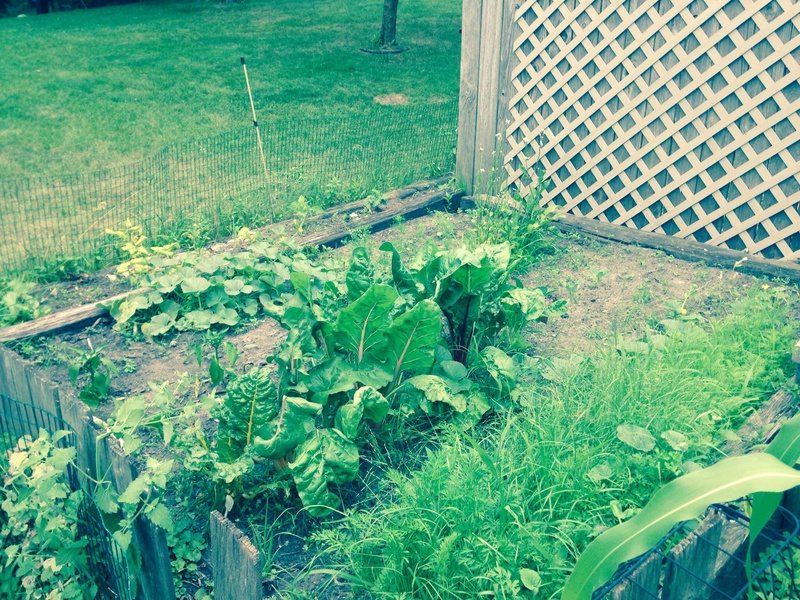 Gardening…it’s a happy place for me . Well mostly, then 3 weeks later I can’t tell a weed from a plant so it becomes a stress. Then I weed and clean it up and am in my happy place…till I watch our sons’ baseballs nail plants here and there… I like gardening or really the idea of gardening. My husband is pretty pessimistic in the spring as our kitchen bench becomes a green house of growing seeds but even he, at the end of the summer will admit the produce is pretty nice. I once was told that economically and time wise it is cheaper to just go the the farmers market each week and get what you need. That way you aren’t spending all this time planting and weeding and weeding and watering. But you don’t get the full effect! I actually like doing both. I take the kids and $20 and we walk around the farmers market and pick what we could use and don’t have in our garden. 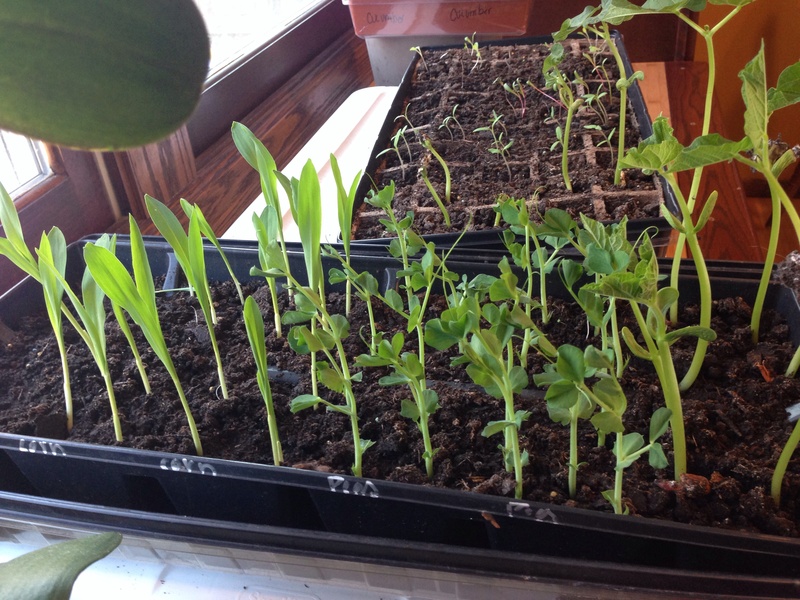 I really enjoy watching my kids recognize what you can grow and getting excited about these healthier choices. In the garden they love to pick the beans and peas the best. This week, they started making their own salads. We started chard, peas, beans, corn, watermelon, squash, kale, peppers, tomatoes and cucumbers inside. I did end up buying more pepper plants and watermelon because they didn’t make the move. We also added carrots (which Hardy, the 5 year old got the seeds from a birthday party, dumped the entire bag in the 2 feet by 8 inch square), basil, lettuce, and cilantro to the garden. The two big things I have learned is 1) water every 2-3 days so the roots go a little deeper and become more hearty and 2) don’t water during the day, you can actually sunburn your plants. I learned things the hard way. Today I’m in my happy place. 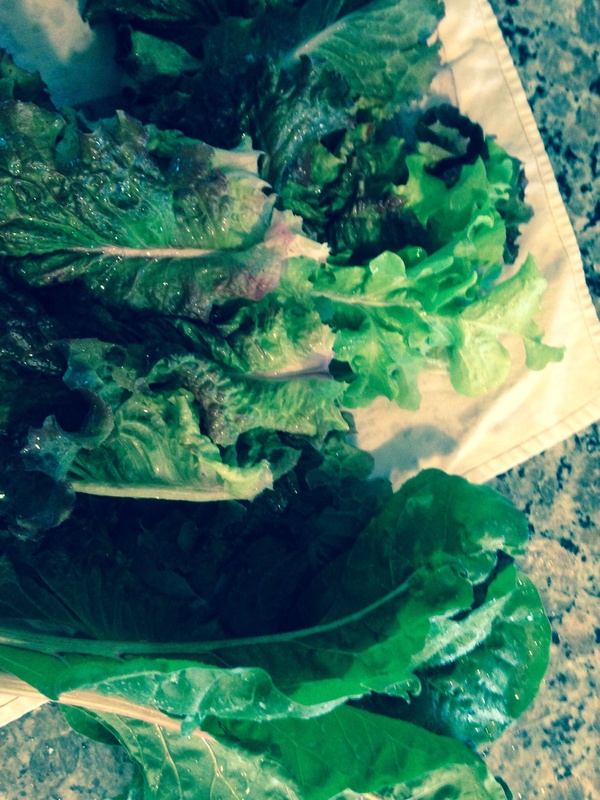 I picked fresh lettuce and chard to bring to a BBQ and weeded some yesterday. Ahhhhhhh- fruitful! So what is your summer happy place? 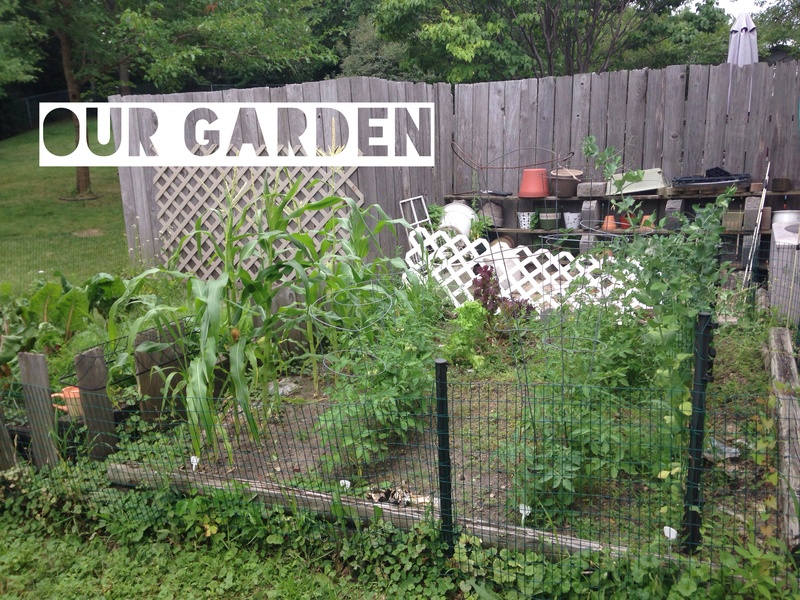 What did you plant in your garden? Share a picture! 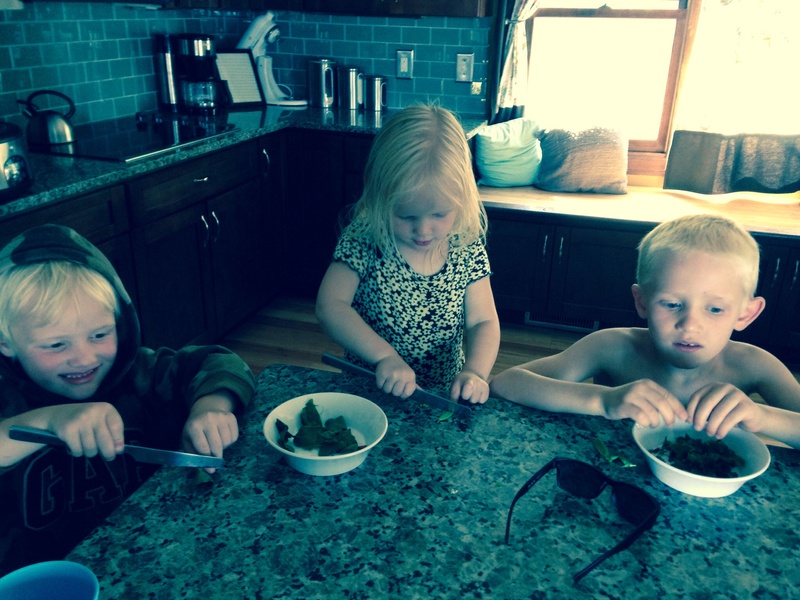 ditto mom…great post Mal …..where do you get all the energy…you are a wonderful mom and harvesting is so fun….so blessed to have such wonderful daughters and grandkids..keep up the great job……….ps I learned from the best too….